Craig spoke about the changes that have been made to Christianity Explored. It is now a seven week course and has been completely re written and filmed. All the material is based on the gospel of Mark. Check in all week to find... Videos. Interviews. Ideas. Offers. + Daily extracts from an informative video interview with Rico Tice on the thinking behind CE and how you can use it in your church and community. 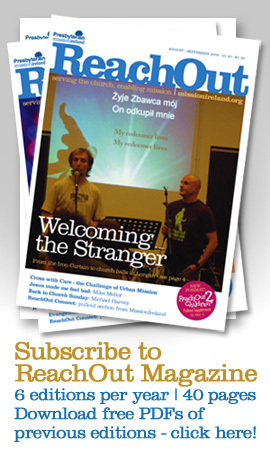 + A series of interviews with ordinary people using Christianity Explored in a variety of different ways. Thursday 1st September (valid until 10th September). Visit www.thegoodbook.co.uk/blog to find out more. The Goodbook Company and Christianity Explored have been working very hard the last few months on a new website for those investigating Christianity. The idea is for this site to be a welcoming, unpressured and jargon-free place for people to explore the Christian faith. It is packed with answers to tough questions as well as some wonderfully engaging real life stories of people who have come to faith in Christ Jesus. Plus much more. So please check out the site and if you like it please forward the link onto others, post it on your blog/Facebook/Twitter etc.... Our aim is to get this out far and wide as we believe the content is brilliant and unlike anything else on the internet at the moment. This is a taster for the new Christianity Explored Course that will be launched in May this year. Craig Dyer the Training Director for Christianity Explored will be leading seminars on the new version at the 2011 Keswick at Portstewart Convention.